Besides my iPhone apps which are handy, the simple nhc.noaa.gov seems to work really nice and they aren’t advertising anything either. I’ve living in Florida a long time and I have to say this one has me concerned. We live in Central Florida so Flooding should not be a problem. What we do have is a bunch of Old Live Oaks. A bunch of them came down in 2004 blocking our way out for 4 days. So, we are as prepared as possible. The Motor Home is Gassed up and ready to run if we lose power. I hope that everyone stays safe and that anyone at sea is far enough away or in port. Yeah. Most of the models think it’s going your way, Florida, and continuing up along the east coast. Or slipping in to the Gulf from the Florida side. Be safe and be dry. Batten down the hatches and leave early. This is a nice time of year to visit the northern Georgia mountains in a motor home. Be safe. One of my best friends moved back to Georgia. Beautiful place. And yeah, it would be a good time to visit. I heard during my travels that the Florida governor already declared a state of emergency and froze gas prices. Is that correct? Yes on everything but freezing fuel prices. Florida does go after Price gouging though. I have reported stations playing games in the past and they have followed up on my complaints. He did suspend ALL Tolls in Florida. I’m waiting to hear that they have made the Turnpike, I-75 and I-95 One Way coming from the South. I’m sure the Highway to Keywest is already One Way as the have Mandatory Evacuations. Florida does go after Price gouging though. Good for that. I remember even in Memphis gas prices going up in every station except for the Shell ones. Usually of course they are higher by a decent amount than others in the same area, but during that time they held the same price as before. And I’m already looking at good 'ol Jose since that will have more of an impact on bringing a ship up into the Gulf. And that litte itty bitty depression 13. Looks to be a busy month. While I miss the hell out of sailing since I retired, I don’t miss the storms. My last 10 years, I sailed mostly East Coast and Gulf and for a while I thought I had a target on my back as it seemed like every storms tagged us! My solution to the high and dry feeling was to buy a small fishing boat. 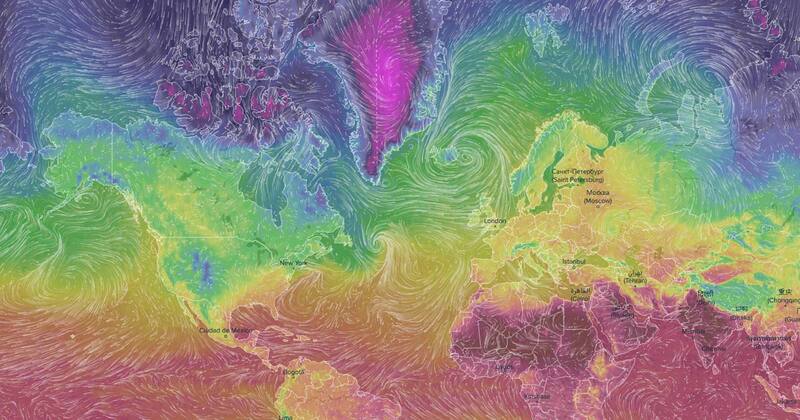 MeteoEarth is no ordinary weather app – it is far more! MeteoEarth offers global comprehensive weather forecasts as high resolution animation films in an innovative format! Just double checking. Has anybody informed Tote Maritime there is a Hurricane coming? Many of the models from last night and continuing this morning are showing an earlier turn to Irma taking it up along or just off the Florida East Coast. Thanks @fredwx for giving us the updates. I’m sure that I am not along in saying and feeling like this but always look for your posts when the weather turns on us. As a Retired Mariner and a resident of Florida, I really appreciate your weather reports. Thanks Again for all that you do for us!